In this concluding whitepaper, we help you to take the third and last step in giving your campaigns effective shape by extracting maximum potential from business-to-business direct marketing. We first advise you to go carefully through the previous two steps. If you haven’t done this, please take a look at our first whitepaper, Targeting the Right Contacts, to find out more about creating an accurate, up-to-date picture of your target audience, as well as a top-quality customer database. 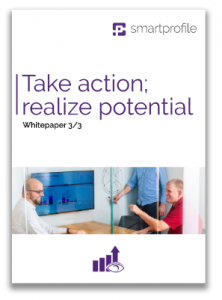 The second whitepaper focuses on Successfully using actionable insights and helps you to map out as accurately as possible the developments in your market. Not only do we look at where the competition stands, but we also examine trends, developments and other insights that you can use when putting a campaign together. This whitepaper focuses on successfully carrying out a demand-generation program.